Shirts for the entire family! 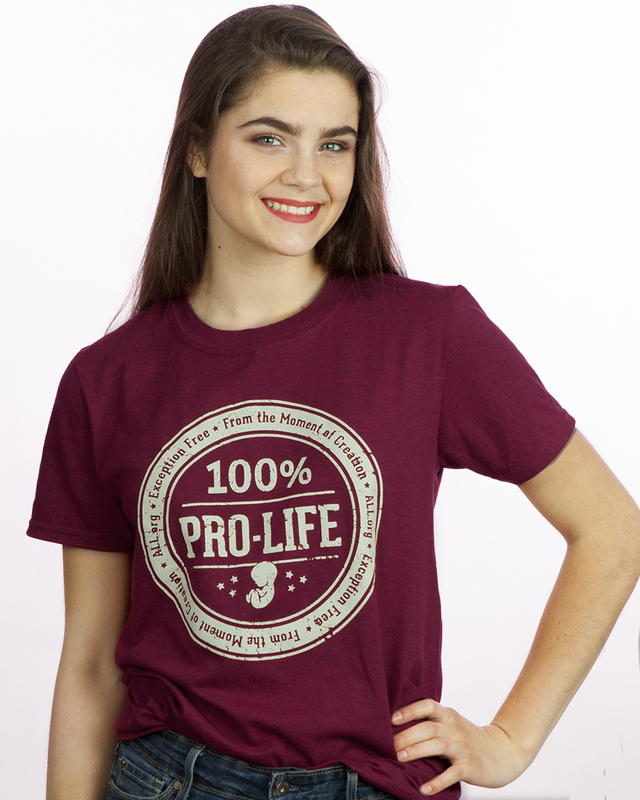 Show them you are 100% pro-life at school, at work, and everywhere you go! you MUST order before March 30th! Looking for a custom color? 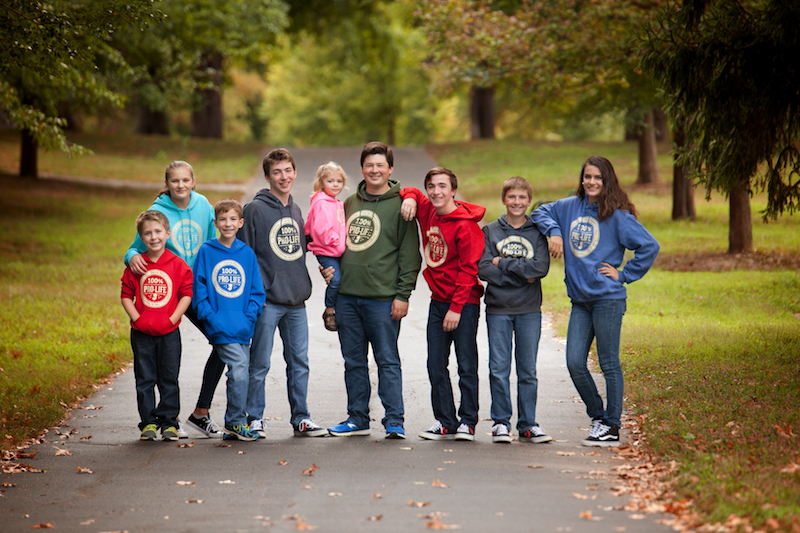 Want your school or group logo on your shirt or sweatshirt? Contact Mary Flores for pricing and options. Is a sweatshirt more your style? Our super warm and soft sweatshirt is perfect for chilly mornings! 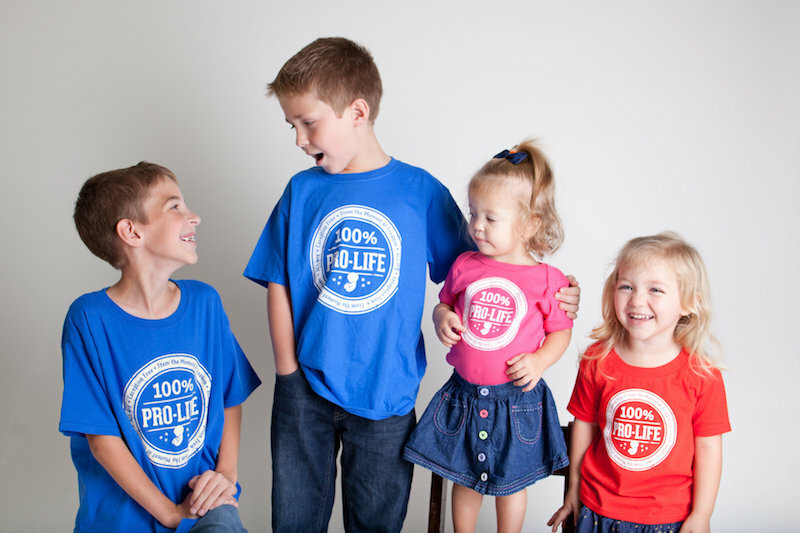 When did National Pro-Life T-Shirt Day start? 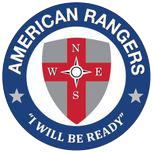 NPLTD was started in the 1990s by American Life League. The goal has always remained the same: to empower young people to speak up and defend the preborn, the elderly, the disabled, and the most vulnerable among us. Where should I wear my shirt? Everywhere! To school, to work, out with friends. The idea is to start conversations. And this shirt is a conversation starter for sure! We’ve seen people’s hearts opened and their minds challenged because the message of this shirt is solid, positive, and life-affirming! What if I get into trouble for wearing my shirt to school? 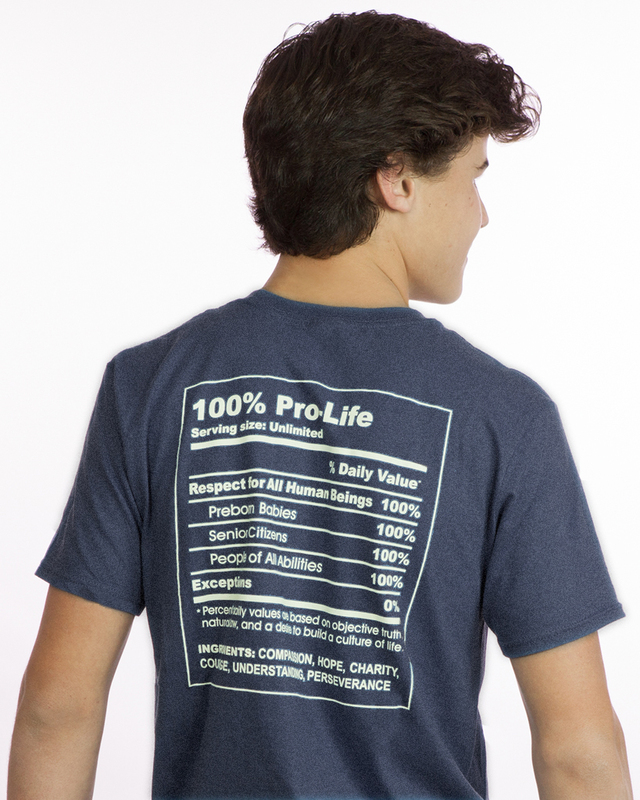 It’s your right to wear a pro-life T-shirt. But it does happen every so often that someone is challenged by an administrator. It that happens, we can help! Contact Margaret at Life Defenders at admin@lightandshield.org or call 571-398-9904. We have lawyers from the Thomas More Law Center who are ready to help you! Is there anything else I can do on April 12 to show my support? You bet! 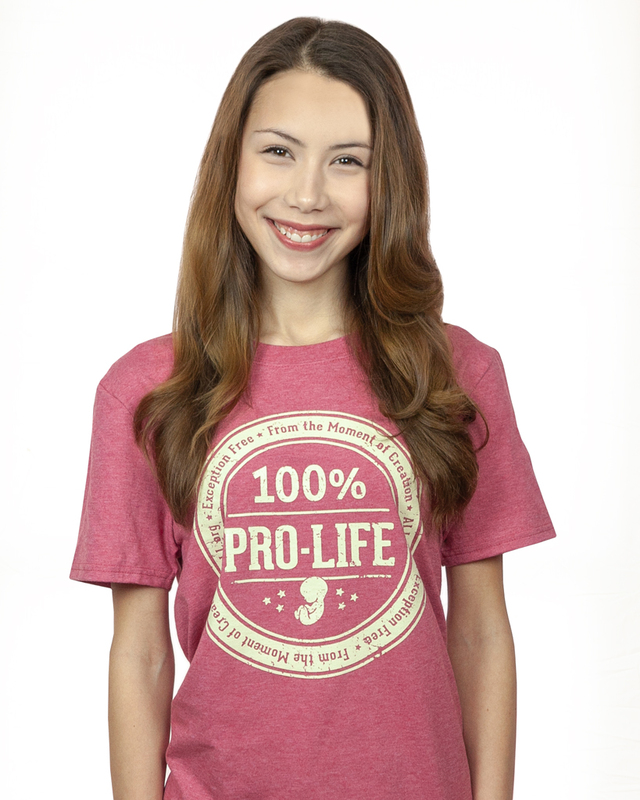 Last year we had people in 48 states and 368 cities who proudly wore their 100% pro-life shirts. Many posted their images to social media. That is one really easy way to spread your message far and wide. So remember to take a pic and post it with #NPLTD2019 or #prolifetshirtday.